Annealing Furnace is used for altering the strength and hardness properties of a particular material by heating it at a very high temperature. 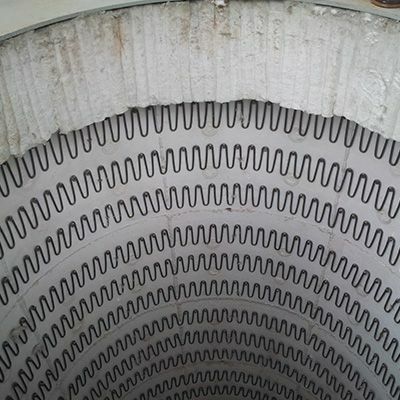 There are three stages of this furnace including recovery, recrystallization and grain growth. Meta Therm Furnace Pvt. Ltd, being one of the trustworthy Annealing Furnace Manufacturers In Mumbai understands the different needs and design their furnaces individually to meet that. Offered Electric Annealing Furnace is used for extrusion of ores from metal. Annealing Furnaces are used mainly in iron & steel industries for moulding of components. Used for annealing, curing, and several other processes. The construction of the furnace is robust and designed to work in every circumstance. Automated load & unloading feature, and ensure trouble-free performance in long-run. We have our name noted among the most zealous Continuous Annealing Furnaces Exporters and Suppliers In India. You can send a direct enquiry from the website or call on the given numbers to speak with our customer spokespersons. We’d be glad to help you make the right choices regarding the furnace for your industry.